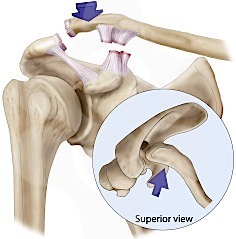 The Acromioclavicular Joint is usually injured by a direct fall onto the point of the shoulder. 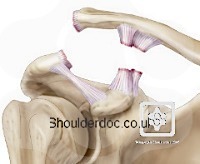 The shoulder blade (scapula) is forced downwards and the clavicle (collarbone) appears prominent. Traditionally the grade determined the treatment. However the evidence for this is poor. We therefore treat according to the symptoms - i.e. pain and functional limitations. Sling and analgesia and arrange to review in 3 weeks. Settling and improving – continue symptomatic management and gradually reintroduce sports and manual activities. Arrange review at 3 months. For Grade 1 injuries removal of the damaged joint is performed. This is done by keyhole surgery (arthroscopically) and is known as an Arthroscopic ACJ Excision . A Subacromial Decompression is usually done at the same time. 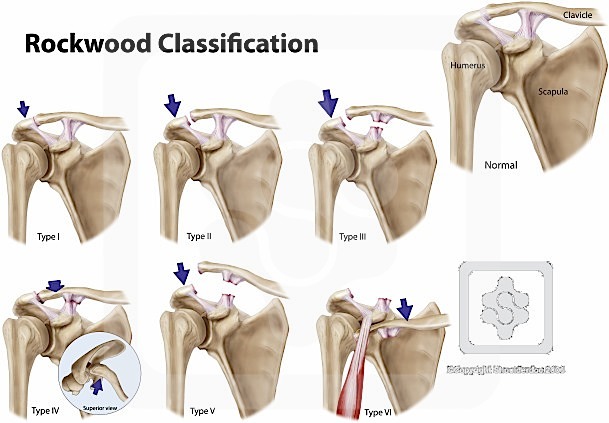 For unstable AC Joints and symptomatic complete dislocations (Grade 3, 4 & 5) injuries the collarbone and shoulderblade need to be re-aligned and fixed in place. Numerous surgical options exist and your surgeon will discuss this in more detail with you. For more information on the surgical stabilisation procedures Click Here . 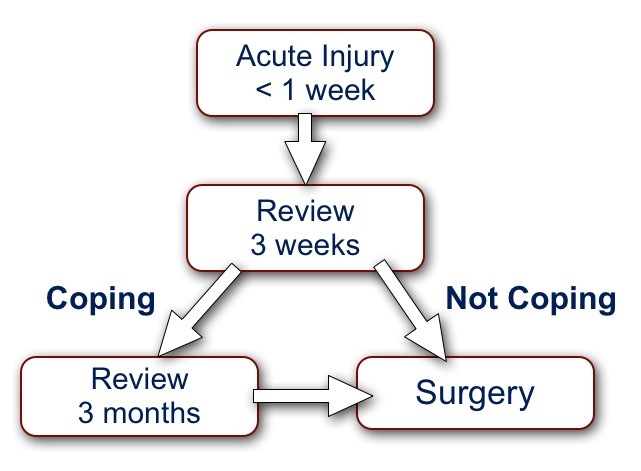 Decision making: operative versus nonoperative treatment of ACJ injuries.